Two years after a law passed allowing firearms to be carried at Texas Tech, campus police say the university is a safer place. Thanks to the law, the police say potential shooters are deterred from attempting a mass shooting. "I believe it makes the campus a safer place, to live, learn and educate," said Amy Ivey, a lieutenant at the Texas Tech Police Department. If a mass shooting situation does occur, Ivey says someone who is armed might be able to stop it. "I like to think we're no longer a targeting opportunity for any such event, such as active shooter, because they know if they come on campus, there could be a potential for an individual to be able to stop the active shooting," she said. "We actually do a hands-on part where we barricade doors, we show you how to go hands-on with weapons, how to defend yourself and also a truncated training on how to stop the bleed, so that way, all of our faculty, staff and students are prepared if an event does happen here on campus," Ivey continued. A Texas Tech student Cody Wheeler. "I do feel safe knowing that there are people that will act upon. If they have their concealed carry, and they see something going, they'll feel the need to go step in." 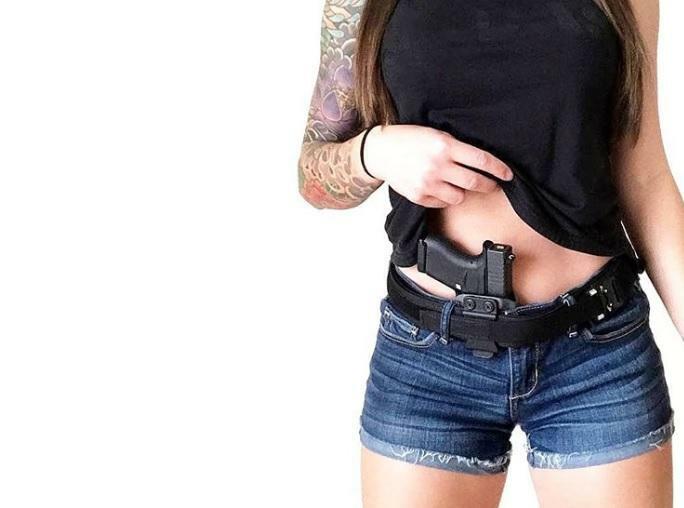 A license to carry instructor named Scott Harmon said, "With the knowledge that if you are going to carry it in a purse or a backpack, that it has to remain on your person. You can't come in and sit down in your seat and drop it on the floor because it's separated from you, and you have no control over that gun at that point."